The problems of studying families arise from the difficulty in studying systems where there are multiple elements interacting with each other and with the child. How should this system be described? Still other problems relate to indirect effects; namely the influence of a particular dyad's interaction on the child when the child is not a member of the dyad. While all agree that the mother-father relationship has important bearing on the child's development, exactly how to study this--especially using observational techniques--remains a problem. While progress in studying the family has been slow, there is no question that an increase in interest in the family systems, as opposed to the mother-child relationship, is taking place. This has resulted in an increase in research on families and their effects. 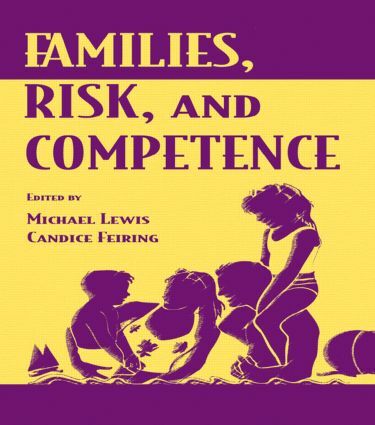 This volume, by leading figures in child development on families, attests to the growing sophistication of the conceptualization and measurement techniques for getting at family processes. The third in a series that aims to address topics relevant to the developmental problems and developmental disabilities of retardation, this volume is divided into two parts. Section 1 presents basic family processes and approaches for describing family dynamics. It deals with these issues from a broad perspective, including studying families at dinner, families in different cultural contexts, and the understanding of family in nonhuman primates. Section 2 looks at family processes in the service of studying families at-risk. The risk factors include poverty, malnutrition, and developmental delay and retardation. The study of family processes in these contexts provides data on family dynamics as well as how these dynamics impact on the children's developing competence. This volume will be informative for researchers, clinicians, and educators from a variety of disciplines and settings. The editors' aim is to bring a greater clarity to issues concerning the family life of children and highlight new research and possibilities for intervention.
" …is a noteworthy addition to the literature concerned with the factors that influence child outcomes….provides an excellent glimpse of many fascinating, state-of-the-art studies using a systems or ecological approach to child development." Contents: Preface. Part I: The Nature of Family Environments. M. Lewis, C. Feiring, The Child and Its Family. S.L. Ramey, H.K. Juliusson, Family Dynamics at Dinner: A Natural Context for Revealing Basic Family Processes. C. Feiring, M. Lewis, Divergent Family Views and School Competence in Early Adolescence. L.A. Rosenblum, Effective Mothering in a Familial Context: A Nonhuman Primate Perspective. R.D. Parke, R. O'Neil, S. Isley, S. Spitzer, M. Welsh, S. Wang, M. Flyr, S. Simpkins, C. Strand, M. Morales, Family-Peer Relationships: Cognitive, Emotional, and Ecological Determinants. M.E. Lamb, B. Leyendecker, A. Schölmerich, Everyday Experiences of Infants in Euro-American and Central American Immigrant Families. R.H. Bradley, L. Whiteside-Mansell, Home Environment and Children's Development: Age and Demographic Differences. Part II: Families At-Risk. A.J. Sameroff, W.T. Bartko, A. Baldwin, C. Baldwin, R. Seifer, Family and Social Influences on the Development of Child Competence. C.T. Ramey, S.L. Ramey, R.G. Lanzi, Differentiating Developmental Risk Levels for Families in Poverty: Creating a Family Typology. S. Dawud-Noursi, M.E. Lamb, K.J. Sternberg, The Relations Among Domestic Violence, Peer Relationships, and Academic Performance. G.H. Brody, D.L. Flor, E. Neubaum, Coparenting Processes and Child Competence Among Rural African-American Families. T.D. Wachs, Family Environmental Influences and Development: Illustrations From the Study of Undernourished Children. B.K. Keogh, L.P. Bernheimer, R. Gallimore, T.S. Weisner, Child and Family Outcomes Over Time: A Longitudinal Perspective on Developmental Delays. I.E. Sigel, Socialization of Cognition: A Family Focus. N.M. Robinson, Synergies in the Families of Gifted Children.